Carillon is the age-restricted neighborhood of the master-planned community of Tuscany in Myrtle Beach. Ten miles of walking trails wind through the neighborhood and pass conservation areas and lakes. This gated community for adults aged 55 or better has its own clubhouse, where residents can take in the sunsets from the ideally placed terrace. Carillon at Tuscany is in proximity to the Atlantic Ocean, golf courses and everything that the desirable city of Myrtle Beach has to offer. The low monthly homeowners association fees include lawn irrigation, mowing, edging, weekly trash service and termite protection for one year. Construction of the community began in 2012 by D.R. Horton and this intimate enclave will eventually include 85 homes upon completion. The clubhouse for Carillon at Tuscany in Myrtle Beach has free Wi-Fi for all residents. It features a game room that functions as an informal gathering place. This room includes a pool table, TV, card tables, dart board and assorted games. Residents also have use of a 24-seat movie theater and a 2,000 square-foot fitness center with commercial grade equipment. The club grounds have a spacious outdoor sun porch that overlooks the oversized pool and two new tennis courts with lights. An additional swimming pool and a lazy river are in the planning stages. Serene walking trails and 40 acres of tranquil lakes open for fishing enhance the community landscape. Built by D.R. Horton with unsurpassed craftsmanship and skill, all single-family homes at Carillon have two car garages, well-planned layouts with spacious interiors, and open floor plans. Buyers can select from floor plans ranging from 1,460 to 2,747 square feet in size. The largest model, Crepe Myrtle, has one-and-a-half stories and three bedrooms and three baths. Its layout features a loft for TV watching or hobbies, with the third bedroom and third bath on the upper level. All other models have one story, two bedrooms and two baths. Kitchens are designed for chefs with plenty of workspace, granite counter tops, stainless steel appliances, gas ranges, under cabinet lighting and cherry cabinets. The layouts include formal dining rooms, family rooms with built-in cabinets, gas fireplaces, hardwood and tile floors. With its seaside location in Myrtle Beach, Carillon at Tuscany offers a true resort-type lifestyle with luxurious homes and amenities. Since the amenities are already in place, residents can be as active as they want or simply enjoy leisure time. With lawn irrigation and maintenance taken care of, residents have plenty of time to explore the Myrtle Beach area, play golf, and entertain friends and family. Situated within five miles of the new Board Walk, the Coastal Grand Mall and the Myrtle Beach International Jetport, Carillon at Tuscany enjoys a convenient South Carolina location. In addition, the community is located within minutes to local shops, restaurants, golf courses, doctor offices and local hospitals. Golf courses in the area include Arrowhead Country Club, Prestwick Country Club and Tidewater Golf Club. The endless array of attractions in Myrtle Beach provides plenty of opportunities for cultural enrichment and entertainment. Some of the most popular destinations include the Carolina Opry, the Palace Theater, the Art Museum of Myrtle Beach and the Franklin G. Burroughs/Simon B. Chapin Art Museum. 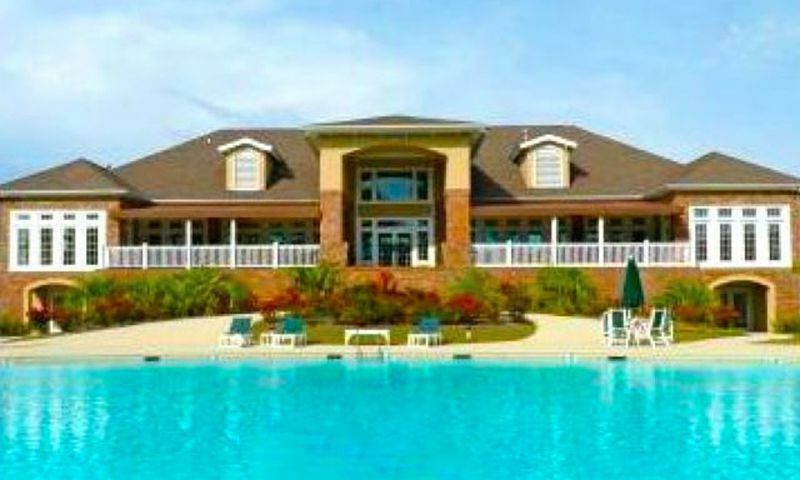 Carillon at Tuscany is wonderful 55+ community with a great location in Coastal South Carolina. Fitness Center - 2,000 Sq. Ft. Check back soon for more information on the lifestyle in Carillon at Tuscany. Carillon at Tuscany offers single-family homes. Developed for the active adult homebuyer, plans have between 1,460 and 2,747 square feet of living space. These 55+ homes offer three to five bedrooms, two to three-and-a-half bathrooms, and an attached two-car garage. If you're looking for a home in the $250k+ range, make sure you check all of your options before you buy here. On the surface it looks good but the corporate builder tends not to deliver the product you're sold. This is also a pretentious group of owners who can often disagree and cannot come into alignment with how the community should be run. Having said that, the location is good as it is near the heart of Myrtle Beach but somewhat removed from the congestion. If you want to live near Myrtle Beach this is it! The location is fabulous, about 5 minutes from Myrtle Beach, great shops and outlet malls, restaurants, golf, everything you could want. The clubhouse is fantastic and there are 10 miles of trails here which is one of my favorite parts of the community. Plus, all the lawn maintenance is taken care of which is something my husband is thrilled about. He spends more time relaxing which makes me really happy to see, and we finally get to spend more time socializing and having fun. 55places.com is not affiliated with the developer(s) or homeowners association of Carillon at Tuscany. The information you submit is distributed to a 55places.com Partner Agent, who is a licensed real estate agent. The information regarding Carillon at Tuscany has not been verified or approved by the developer or homeowners association. Please verify all information prior to purchasing. 55places.com is not responsible for any errors regarding the information displayed on this website.